Thanksgiving is a cherished American holiday for a number of reasons. It’s a time for friends and family to reunite and reflect on the people that matter most. The savory meal of oven-roasted turkey, gravy, mashed potatoes, crushed cranberry sauce and pie is something many people look forward to for months. However, eclipsing both these traditions more so each year is a ritual characterized by around-the-block lines, frenzied shoppers and booming revenue for retailers: Black Friday. REI took a major stance this year, sparing its workers of holiday hours at the potential cost of its bottom line. Contrast REI’s decision to that of Best Buy, which plans to open its doors at 5 p.m. on Thanksgiving. 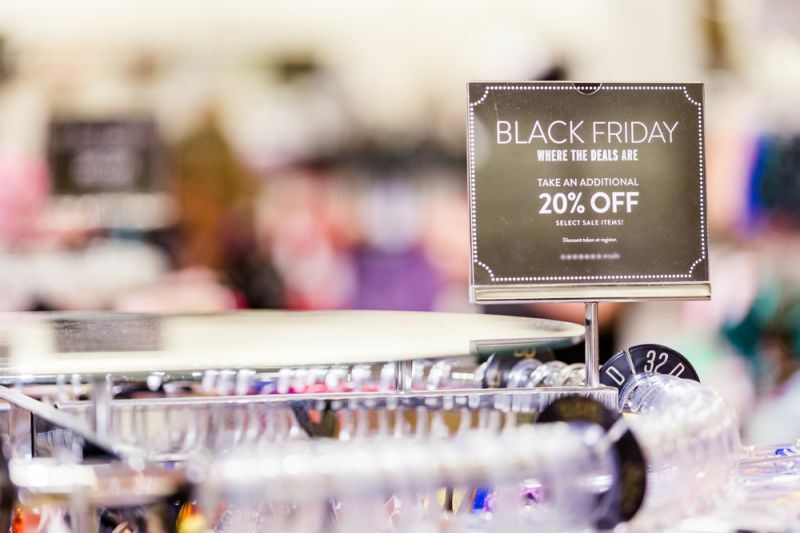 Ultimately, the National Retail Federation reports that 140 million shoppers are expected to take advantage of Thanksgiving-weekend deals online or in stores, and 86.9 million shoppers frequented stores on Black Friday last year. With both the traditional Thanksgiving experience and this retail blitz competing to dominate the holiday, FindTheData wanted to look at everything from turkey consumption to total Black Friday sales to see the facts surrounding how we celebrate Thanksgiving. More than 230 million turkeys are produced annually. Turkey production peaked in 1996, when 302.7 million turkeys were raised for consumption. Turkey is enjoyed year-round in everything from sandwiches to chili, but Thanksgiving is a major holiday when Turkey consumption peaks. 46 million turkeys are eaten in the U.S. on Thanksgiving Day alone. That equates to one-fifth of 2014’s turkey production. Christmas Day comes in second place, with about half as many turkeys consumed. 345,217 acres of potatoes are harvested in Idaho. Idaho wins out with the most potatoes harvested annually. Among other top states are Washington and North Dakota. Consider, however, that Iowa still produces twice as many potatoes and the next state. The average trip length for Thanksgiving is 214 miles. This is about 60 miles shy of the average distance Americans travel for Christmas. Considering the two holidays are a mere four weeks apart, those who travel for both holidays could put about 500 miles on their cars this holiday season, on average. Good thing the price of oil is hovering around its lowest point since 2011. This average includes air travel, though, as well. 46.9 million people will travel for Thanksgiving 2015. One-in-six Americans will be traveling for Thanksgiving this year. Factoring in the impact on highways and airports, hosts might have the best deal staying at home. Online sales have increased for all Thanksgiving-weekend shopping holidays since 2009. As if Black Friday wasn’t enough, the entire weekend is stacked with retail specials that can lure even the normally disinterested shopper into stores. Every holiday (Thanksgiving Day, Black Friday, Cyber Monday and Green Monday) saw increased sales in 2014 over the year prior. Ever since the low point of the Great Recession, spending has experienced an uptick year over year. Data isn’t showcased for Small Business Saturday, but you can support your local mom and pop stores then, as well. Though Green Monday falls on the second week of December, shopping on that day has increased, as well. Shopping carts were responsible for 28,006 injuries in 2014. While these injuries aren’t reflective of just Thanksgiving weekend, it’s an interesting illustration for an activity known to get a little bit threatening. Here’s hoping your shopping experience for the perfect gift remains void of brawls or shopping cart faux pas.